Formerly affiliated with the Residences of Ritz-Carlton Hotel, this brownstone Carlton House condominium complex offers luxury living in premier location in the city of Boston. Located at the end of the Commonwealth with Public Garden at the doorstep, Carlton House is in the middle of the active city where residents can enjoy walks in Boston Common Park, experience fine dining and high-end shopping on Newbury and Boylston Streets, watch plays and musicals in Theater District, and be within walking distance to public transportation, as well as have easy access to highways and major roads. 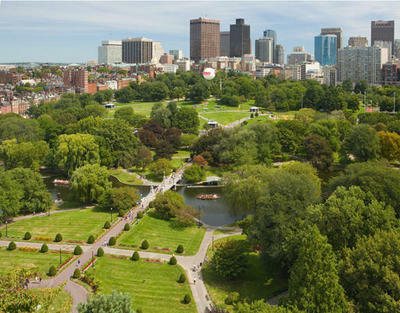 Homes of Carlton House are unique and range from 1, 2, 3 bedrooms to penthouses with outstanding views of Boston Common, the Charles River and city skyline. All units feature large windows, spacious living areas, hardwood floors, modern kitchens and baths, spectacular outdoor space. As a full service building, Carlton House offers 24-hour concierge services, 24-hour valet parking, fitness center, a library, in addition to Taj hotel services including room service, housekeeping and catering. This is a pet-friendly establishment. Experience comfort of luxury living with world-class quality services and premier residential address. Contact us to learn more about these Carlton House condos in Boston MA.